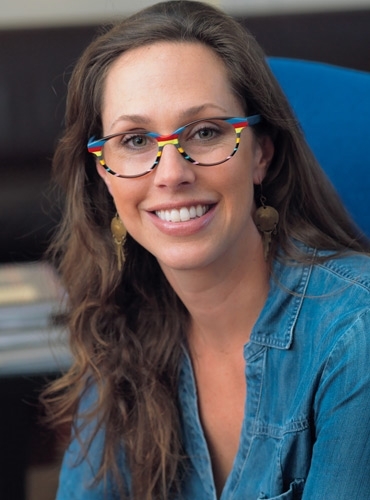 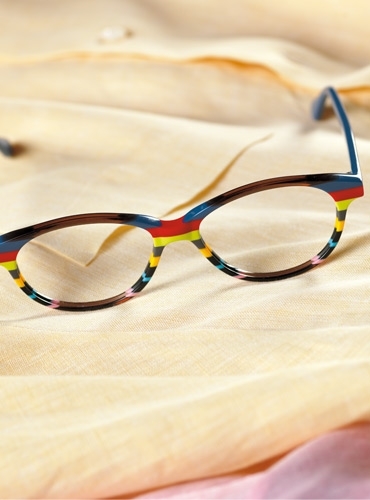 Our multi-colored frames are works of art, struck in the appealing patterns shown, each with complementary colorful temples. 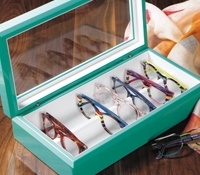 We offer a variety of shapes, from small round, to P3, to rectangular, to cateye, and each is handmade for us in Germany. 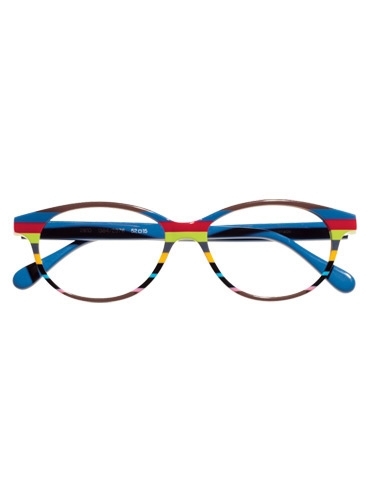 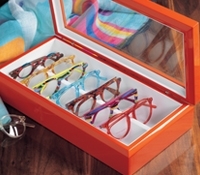 Consistent with the unique artistry of these frames, there may be slight variations in color or placement, but frames will be as close to what is shown here as possible. 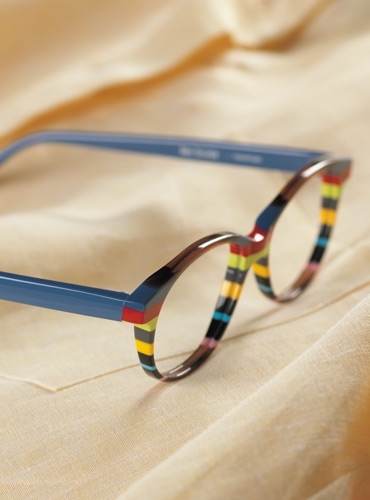 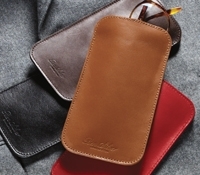 This particular style is a rounded, rectangular shape in brown, blue, red, lime, yellow, sky, and rose pink. 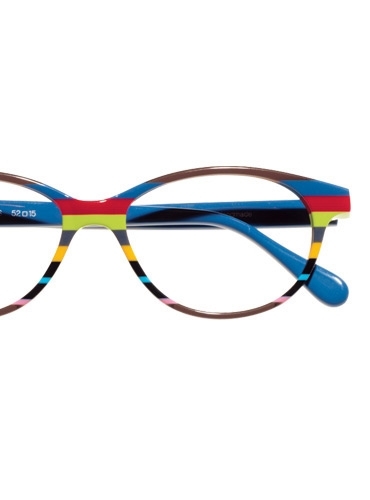 Features 52 mm lenses, 15 mm saddle bridge, and 140 mm temples in grey-blue.